Well...sort of. For fans who really enjoy the music they here in several Grand Theft Auto games, including GTA IV, Vice City, and San Andreas, there are now Spotify and iTunes stations dedicated to the radio stations found in those games...but currently they only contain songs that are already on Spotify and/or iTunes, if that makes sense. So if there's those one or two radio stations that you just can't get enough of while driving through scenic Liberty City, Vice City, or San Andreas, read on to find the link to it on Spotify and iTunes. A reflection of the diverse sounds of Liberty City, the epic in-game soundtrack of Grand Theft Auto IV and Episodes from Liberty City features 19 unique music stations with everything from modern East Coast hip-hop to Eastern European pop. These playlists also include the adrenaline-pumping additions in The Lost and Damned as well as the club anthems and rare disco classics featured in The Ballad of Gay Tony. Take it all the way back to the 80s and take the Vice City radio dial with you wherever you go - from the soul stylings of Fever 105 to the chart-toppers of Flash FM to V-Rock's headbangers and more. 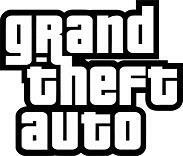 The first entry in the Grand Theft Auto series to mix licensed music tracks with original ones created specifically for the game, Grand Theft Auto III's soundtrack is the perfect complement to the dark and seedy underworld of Liberty City - rock out to Salvatore Leone's favorite arias from Double Cleff FM, Toni's glory daze tunes from Flashback 95.6 and more. In addition to including popular mainstays like Double Cleff FM, Head Radio and Lips 106, this 1998 incarnation of the Liberty City radio dial also features the world music stylings of Radio Del Mundo as well as DJ Clue's The Liberty Jam. The saga of the Vance family's rise to power in Vice City features over 100 songs from the iconic early 80s, including Flash FM's pop smashes, V-Rock's metal anthems and Wave 103's new wave hits. While not stations in the traditional sense with hosts and commercials like the above entries in the series, we'd be remiss if we didn't include the available selections from the instrumentally infused soundtrack for Grand Theft Auto: Chinatown Wars.